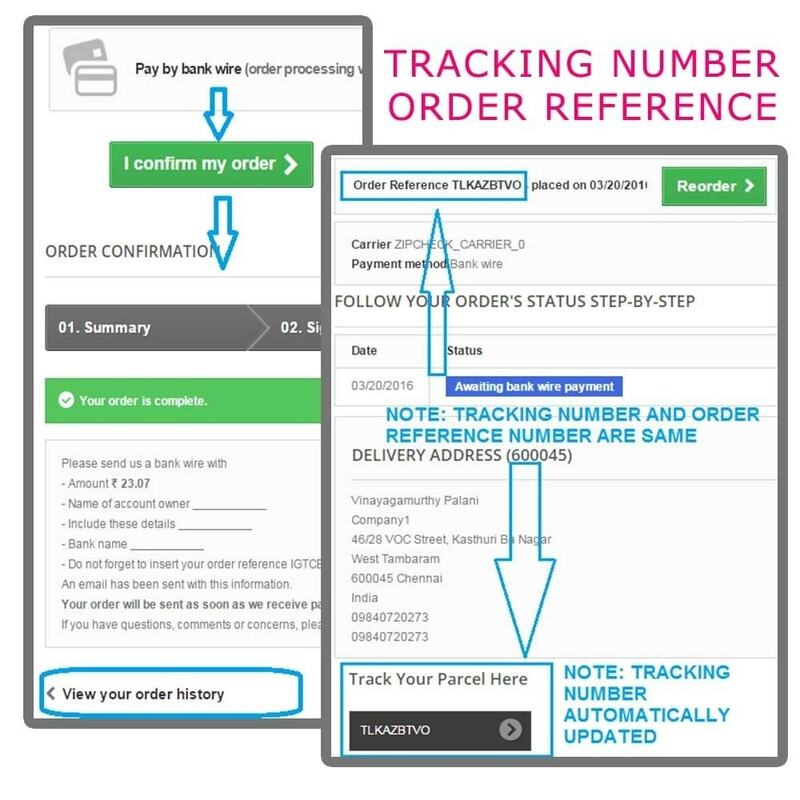 Track Order by Order reference number. 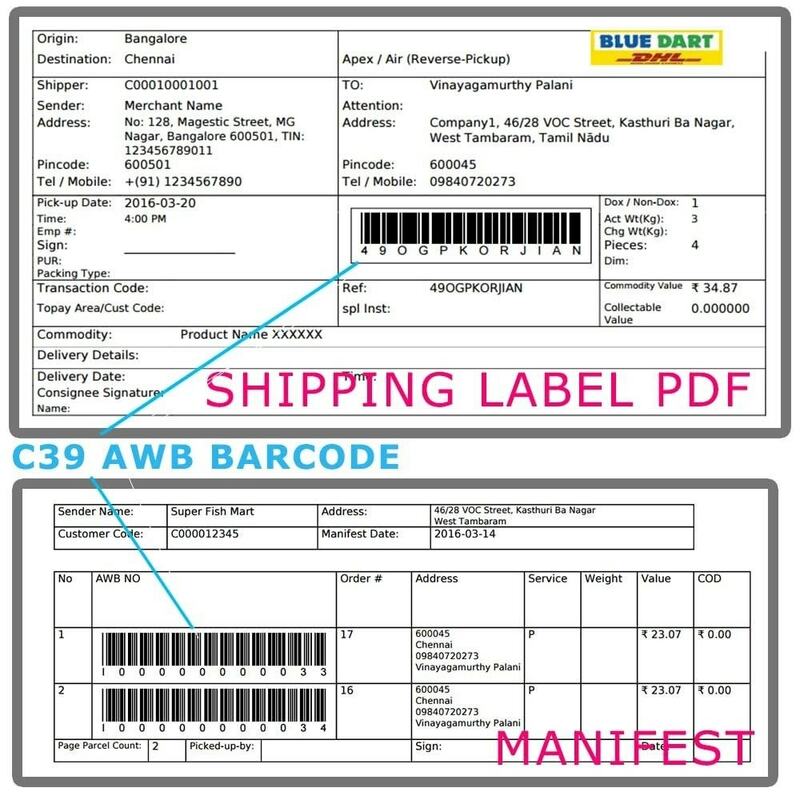 Bulk AWB Generation, Shipping Label & Manifest PDF print. 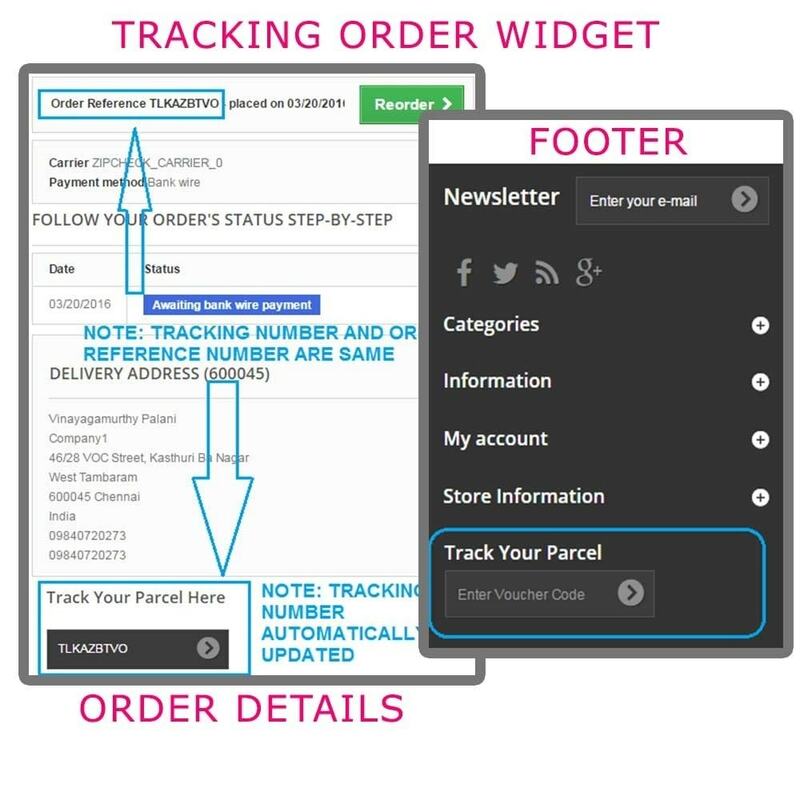 Auto update Order with Tracking Number. 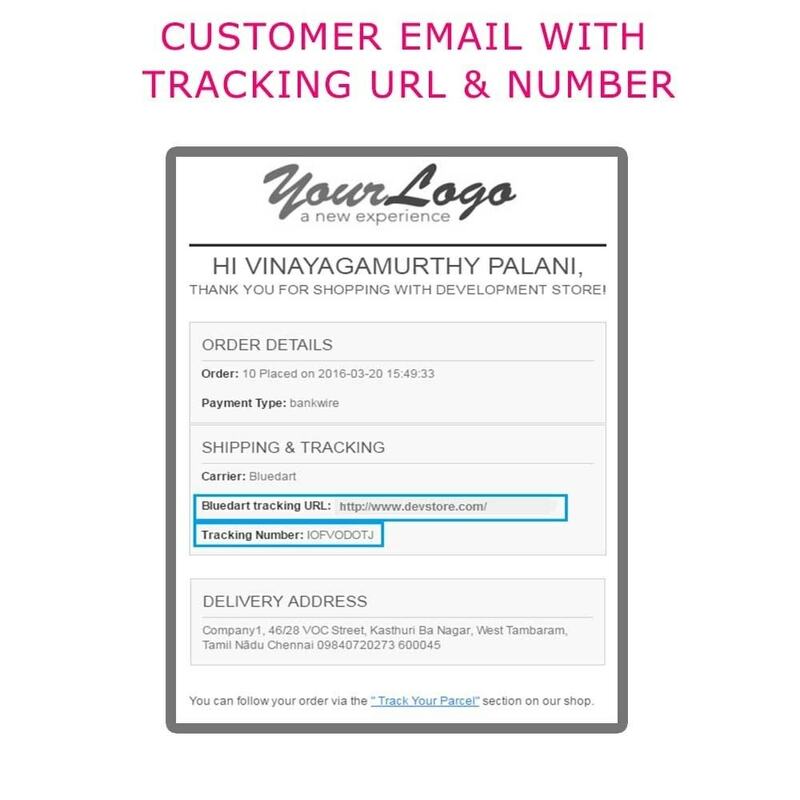 Customer Email with Tracking Number. C39 AWB Barcode. 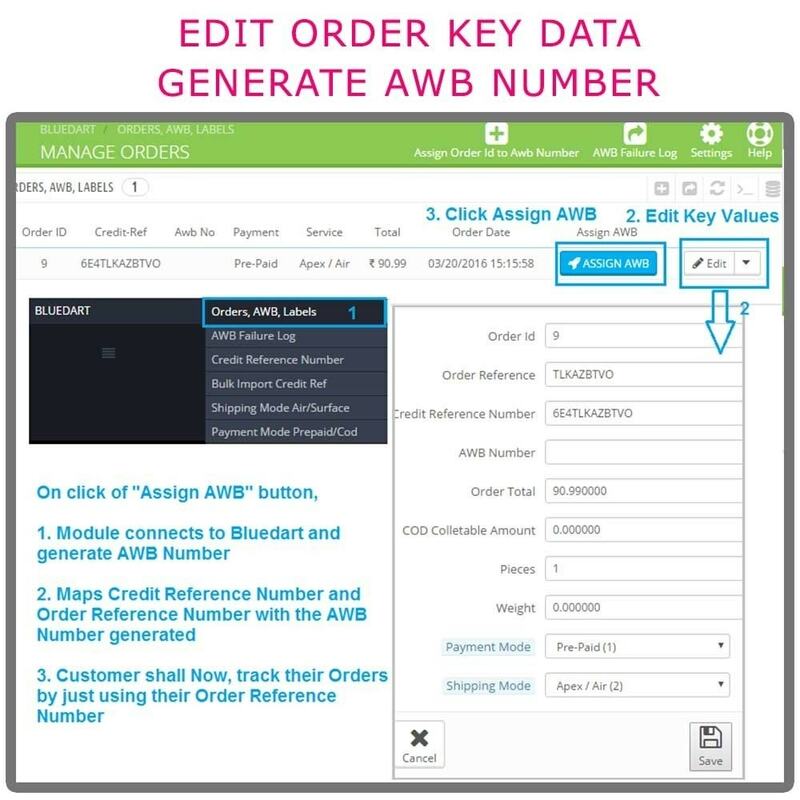 Edit Order data and generate AWB. 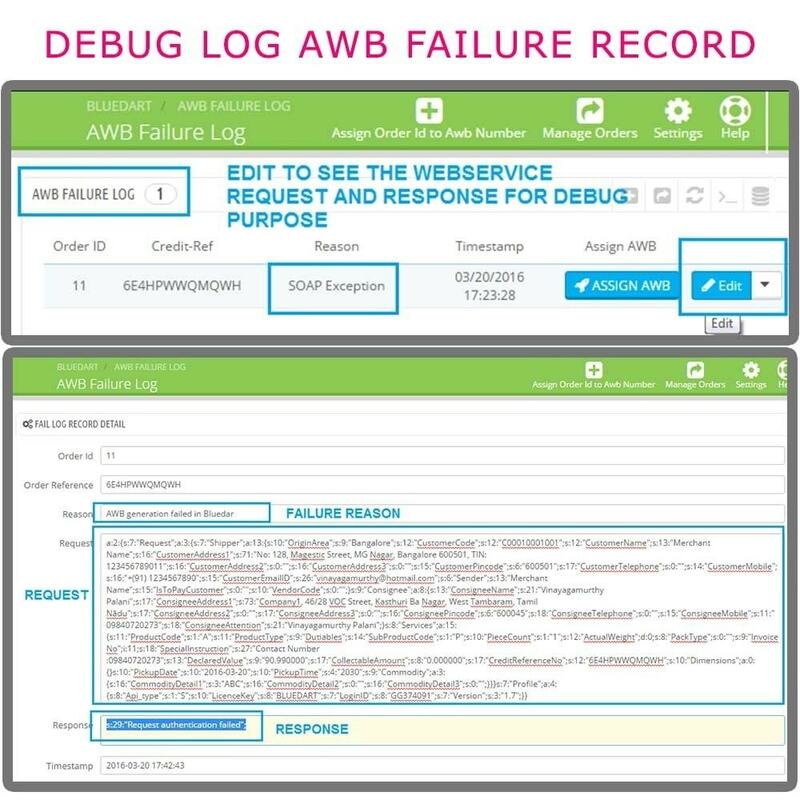 Debug log facility. Comprimi le immagini JPG e PNG sul tuo store con TinyPNG, riduci così le dimensioni della pagina dello store, fa in modo che le pagine si carichino più velocemente, così da risparmiare spazio sul disco. You need sign an agreement with BLUEDART regional sales team. Quickly add multiple products to Cart from Home page & Category page. Plus, Minus icons box to instantly update Product quantity. Highlight products in Cart. Login by mobile phone number. Register by OTP SMS. 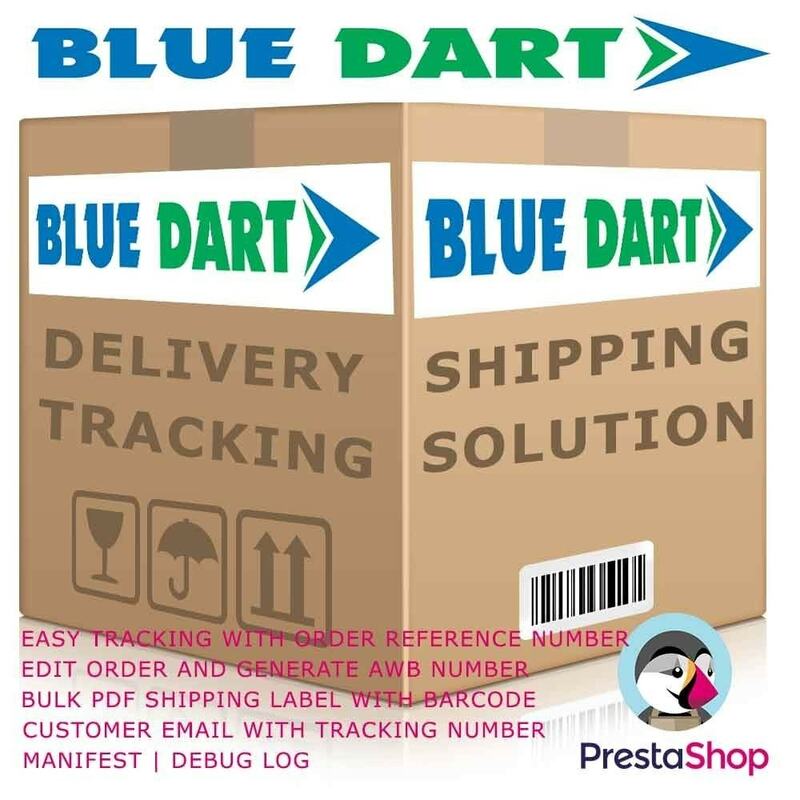 Control shipping carriers and Cash on Delivery payment option by zipcode, country, state, order total, weight and Product. 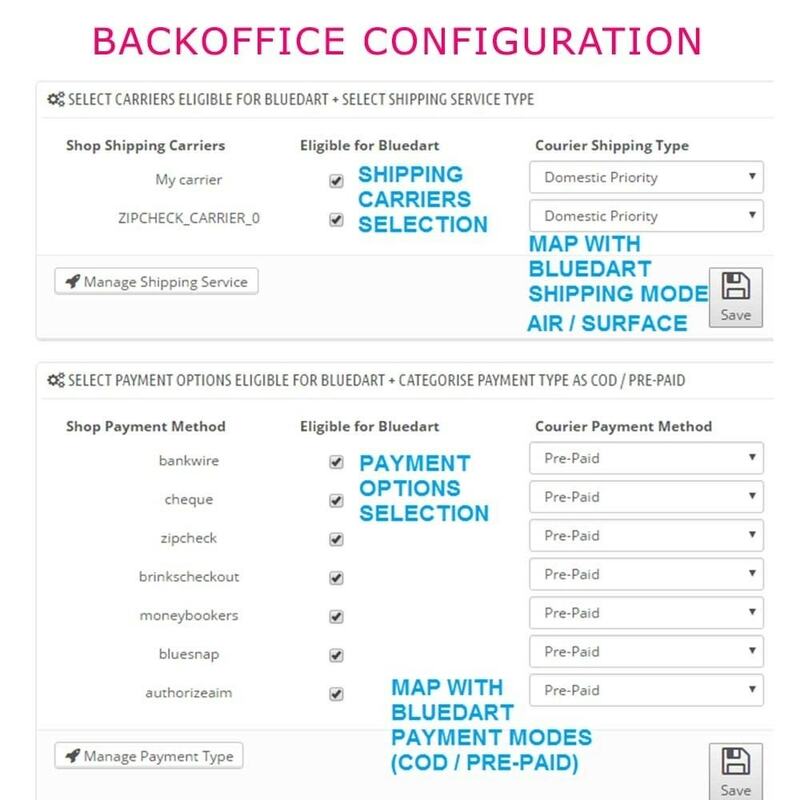 Calculate shipping and COD fee by zipcode. Display delivery options by zipcode in Product Details page.